It’s a chance to flip the script. 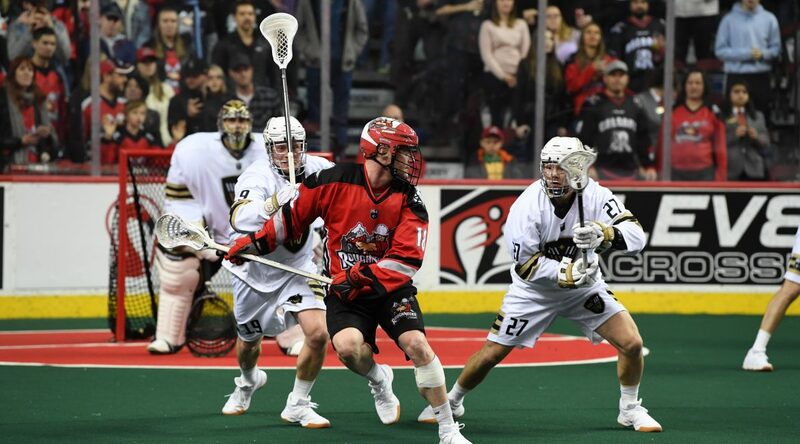 The Roughnecks (3-4) look to end their three-game losing skid Saturday when they host the Vancouver Warriors (2-5) at the Scotiabank Saddledome. The Riggers are coming off of a bye week after dropping both games in their previous double-header weekend. After falling 15-9 to the San Diego Seals on Jan. 18, and then 12-7 to the Colorado Mammoth Jan. 20, the Roughnecks are focused on getting back on track. The focus wasn’t just on recovery during the time off, though. It also gave the Riggers a bit of time to take a closer look at what exactly has been going wrong – especially up-front. Even with superstar Curtis Dickson back in the lineup, the Roughnecks haven’t managed to put up more than 10 goals per tilt in their last three. “We need to get our identity back,” Duch said. “We were scoring 12-to-14 goals a game for a little while and now we’re scoring eight-to-10 and that’s not going to win in this league. According to Duch, if everyone did their homework over the bye they’ve got a good chance to win. As for the Warriors, they’re coming off of an 11-10 overtime win at home over the Colorado Mammoth. There’s no sleeping on them, even with their 2-5 record. The Warriors’ attack is always a concern for the Riggers. Winning loose-ball battles will be paramount, as well. Saturday’s tilt also marks the third and final time Duch will face his former team this season. It won’t matter to him, though. As far as he’s concerned, his time with Vancouver is water under the bridge. “Calgary is my team,” he said. “We’ve all moved past it and on to our next destination.